Run with all your heart. 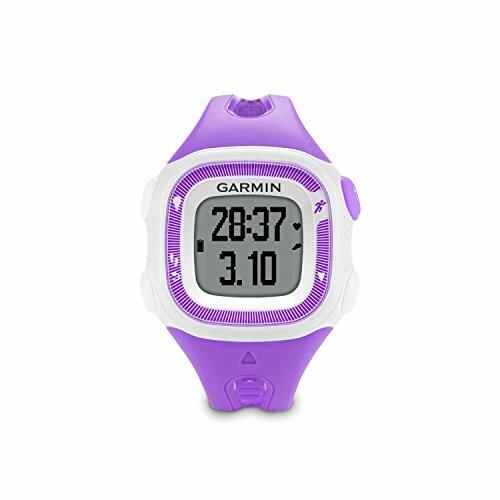 This refurbished violet and white forerunner 15 from Garmin captures essential stats from your run like time, distance and pace. When paired with a heart rate strap, it also records your heart rate and heart rate zone so you'll know when you hit your target. Training with heart rate also allows you to monitor when you need to rein it in and when you can push yourself harder. Before beginning any weight loss or exercise program, you should consult with your physician.